The tea industry in north Bengal is still reeling under the demonetisation-induced cash crisis and a number of tea estates are yet to make wage payments as their banks are yet to get approvals from higher levels within their set-up. In some other cases, there is a cash crunch in the banks, which is delaying wage payment. "Almost all the self-help groups of small tea growers in north Bengal and also a section of growers, who have plantations of around 50 acres or more, are yet to get cash to pay their workers. Even today, we had been to banks and spoken to the officials on why there is a delay in payments. The banks have told us that they are yet to get clearances from their higher authorities to release money beyond the ceiling stipulated by the Centre," Bijoygopal Chakraborty, the president of Confederation of Indian Small Tea Growers' Associations (Cista), said. "At least a fortnight's wage has been disbursed in most of the tea estates. On the other hand, workers in small plantations and also in bought-leaf factories (BLFs) have not received a penny so far. Also, small growers who supply directly to BLFs and do not have bank accounts are yet to get their sales proceeds. We can perceive simmering discontent among these people and at any point of time, there can be an outburst," the Cista president said. In tea estates, where wages are yet to be paid, the situation is similar. "In the Terai, all those tea estates which are our members have paid a fortnight's wage, except one garden. The management of Girish Chandra Tea Estate (located in Phansidewa block of Darjeeling district), is yet to get cash from the bank. The bank authorities have said that they do not have necessary clearance," Sumit Ghosh, the secretary of the Terai branch of Indian Tea Association, said. Since November 9, the Centre has stipulated the withdrawal limits to Rs 24,000 for saving accounts and Rs 50,000 for current accounts per week. Last week, the RBI has come with another directive - anybody can withdraw above these ceilings, provided he has deposited similar amount in the bank in current denominations. 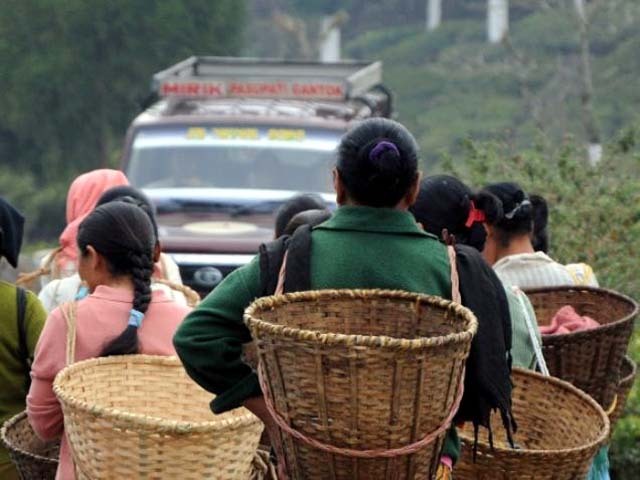 Jimut Barua, a representative of the company owning the tea estate, said there are around 250-odd workers. "We need around Rs 3 lakh in cash to pay them.... Even today I was told that necessary clearance has not reached the branch from higher levels," Barua said. "Wages have been disbursed in all other neighbouring tea estates. It is obvious that workers and their families at their garden are upset." Two new problems have cropped up, sources said. First, given the state of progress in opening bank accounts for tea workers, planters need permission to make payments of at least another fortnight's wages in cash.